So by now we all know about the sale of the UFC to WME-IMG (William Morris Endeavor – International Management Group) for $4 Billion back in July, but at this point you might be asking yourself questions like – Who are WME-IMG? What do they do? What are they proposing to bring to the UFC? 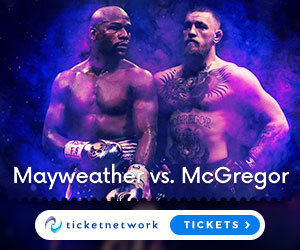 Well as per usual with anything MMA related, your in the the right place to get a closer look – many people were shocked by the $4 Billion price that WME-IMG paid for the UFC, but let me tell you now – prominent business tycoons like Ari Emanuel (Co-CEO of WME-IMG), Patrick Whitesell (Co-Ceo of WME-IMG), and Silver Lake Partners (51% owners) do not ever pay a price for something that they don’t believe they can get back tenfold. WME-IMG are one of the worlds largest Talent and Literary Agencies, founded in 2009 from their headquarters in Beverly Hills, California. So to put it simply WME-IMG represent many of the biggest celebrities, and essentially are one of the most “Hollywood” companies in the world. Actors Sylvester Stallone, Ben Affleck and Mark Wahlberg. Directors Michael Bay, Trey Parker, and Tyler Perry. Musicians Anthony Kiedis, Flea of Red Hot Chilli Peppers, Calvin Harris, LL Cool J, Adam Levine, and the Weekend. Tennis Players Maria Sharapova, Li Na, Serena and Venus Williams. NFL quarterbacks Tom Brady and Cam Newton, New Patriots owner Robert Kraft, TV Chef Guy Fieri, Skateboarder Rob Dyrdek, as well as TV hosts Jimmy Kimmel and Conan O’Brien. So yes Rambo and Batman are now running the UFC lol. But in all seriousness, we are now going to have celebrities being involved in the UFC process moving forward. It is becoming clearer what WME-IMGs plans are for the UFC – so get used to more celebrity appearances, features, as well as more UFC fighters being given Hollywood film opportunities, more large brand promotions, and possibly more celebrities like CM Punk that want to fight in the UFC, will be given the opportunity. So In closing – who are WME-IMG? Well i hope iv’e given you a reasonable answer to that question, and one thing is for certain, they are magnets for Celebrities, which will get more eyeballs on the sport then ever before. My only fear within all this, is that the integrity of the sport could become compromised or tainted more and more going forward – meaning more fights will be put together based on ratings rather then skill and martial arts merit. I hope this is not the case, because this is the UFC (Ultimate Fighting Championships) meaning the best of the best martial artists, not the UCC (Ultimate Celebrity Championships) which would be more like the scripted WWE, and i hope all these new owners keep that in mind.